There is always a tinge of doubt whenever women married to famous and wealthy men talk about their personal successes. This is because we subconsciously tie their success to the personality they are married to. Priscilla Chan does not fit this mold. She may be married to one of the most important and wealthiest men in the world’s history but she has definitely made remarkable strides of her own. Just enough to prove her self-sufficiency a through determination to make the best of herself. Who is Priscilla Chan – Mark Zuckerberg’s Wife? 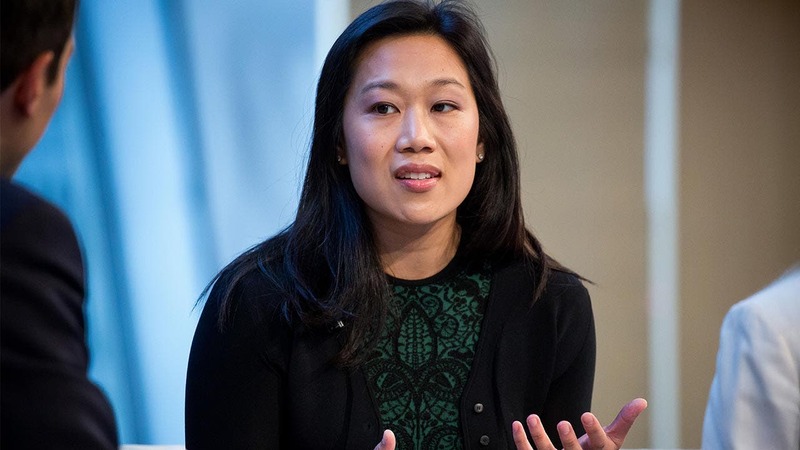 A student of medicine and a trained pediatrician, Priscilla Chan is the First Lady of Facebook as she is married to Mark Zuckerberg, the founder and CEO of the social media platform. The Vietnamese American was born in Braintree Massachusetts, on February 24, 1985. She spent her growing years in her hometown and subsequently in Boston. For her high school education, she attended Quincy High School. During her time here she was an intellectual leader among her peers. By 2003, when she was leaving high school, she was appointed to give the valedictory speech and was also voted as the “class genius” by her classmates. After her time at Quincy High, Priscilla continued her education at the prestigious Harvard University where she studied for a degree in biology. By the time she graduated in 2007, she had also learned Spanish, making it the third language she is fluent in. Many would consider the way Priscilla Chan started her work life as a bit underwhelming, even disappointing. After she left Havard, she became a science teacher at the Harker School located in San Jose. She stayed at this job for a year before she left to further her education. Chan then enrolled at the University of California’s medical school in 2008 and spent four years at the institution which she followed up immediately with her internship. Come the summer of 2015, Priscilla had rounded up her pediatric residency. So where Priscilla and Mark met is a kind of a funny story. This was during their time at Harvard. Mark had designed and launched Facemash, a prank website and everyone believed he was going to be expelled as a result. Owing to this belief, his friends from his fraternity decided to throw him a going away party. Priscilla was among those invited to the party and this was where they met – while standing in line for the bathroom nonetheless. The pair started dating shortly after. Between this time and their marriage, there was a period where they were separated for a while after Mark had left Havard to focus on Facebook. The couple got married on May 19, 2012. It was a strategic date too being the day immediately after Facebook had gone public. The ceremony took place in Zuckerberg’s backyard and was attended by about 100 friends and family members. Since then Priscilla Chan has given birth to two children – these coming after she had endured three miscarriages. Her first child, a girl, came on December 1, 2015. Her second daughter, August Chan Zuckerberg was born on August 28, 2017. Mark may be all about tech, but Priscilla has had success in impressing some of her life goals on her husband, especially in the areas of child education and health. The couple has made some remarkable moves in these two areas and including in research and philanthropy. The power couple has so far given away over $4.6 billion in donations and pledges. These include a $75 million donation to Priscilla’s former employers, San Francisco General Hospital. The couple has also donated to the Silicon Valley Community Foundation to the tune of 18 million Facebook shares which at the time in 2013, was valued at just under $1 billion. Priscilla Chan’s drive for child education has seen the couple donate approximately $120 million for the rehabilitation and development of the San Francisco Bay Area public schools. Perhaps their biggest donation came with the announcement that the first family of Facebook would donate 99 percent of their Facebook shares to their charity, the Chan Zuckerberg Initiative. This Initiative was launched to focus mainly on health and education. One of their projects is The Primary School, a non-profit outfit whose objective is to make available education for children in the East Palo Alto area of California from Kindergarten through to the 12th grade. It also focuses on providing adequate prenatal care in the area. Priscilla Chan who is undoubtedly the greater influence on the couple’s philanthropic activities was nominated for the San Francisco Chronicle’s Visionary of the Year Award in early 2017. Priscilla Chan has worked as a science teacher in her past. She is presently a doctor, healthcare and education advocate and sits at the helm of one of the largest philanthropic organizations in the world. All these have seen her net worth estimated at around $50 billion. Of course, it is only right to point out that most of the money from this estimation comes from her ties to her famous and wealthy husband. Still, it doesn’t take away from the fact that she has made her own success and is a huge part of his success as well. Priscilla may have been born in Vietnam had her parents not fled the country to escape persecution. His father is Dennis Chan and his mother is Yvonne Chan. While in the US, she was raised with Cantonese and for much of her growing years served as an interpreter for her grandparents who couldn’t speak a lick of English. In several interviews, Priscilla has talked about how her parents, especially her mother, Yvonne Chan always had to work multiple jobs to take care of her and her siblings. One of these jobs at one point included Yvonne running a restaurant with Priscilla’s father, Dennis. As a result of her parent’s hustle, she was raised largely by her grandmother who the pediatrician says taught her how to be a strong, independent and caring person.